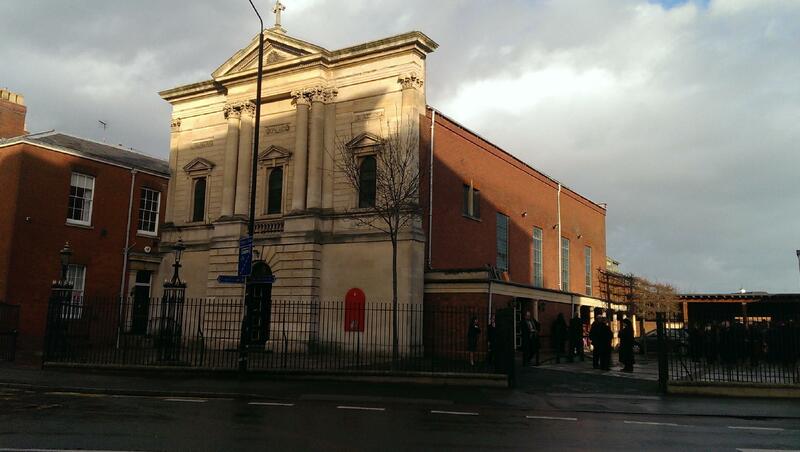 St George’s Catholic Church in Worcester attracted family and friends from across the UK to join in the Requiem Mass for Professor Peter Gilbert on Friday 27th December 2013. The Church was filled with people who wanted to give Peter a final send-off and standby the family during their trying time. 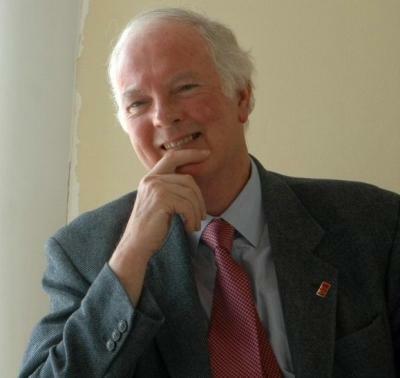 Peter who was emeritus professor of social work and spirituality at Staffordshire University and a visiting professor with the University of Worcester lost his battle to illness and departed for his heavenly abode on the 12th December 2013. Peter, editor of Pavilion Publishing titles Spirituality and Mental Health and Spirituality and End of Life Care, was recognised recently for his outstanding contribution to the profession at the Social Worker of the Year Awards 2013. He also won the Outstanding Contribution award in recognition of his significant influence on social work thinking on mental health, learning disabilities, spirituality and leadership. He constantly strove to bring the ‘human’ dimension into health and social care. He also cared passionately about bringing an authentic dimension to leadership practice and wrote much about leadership with integrity. He was the author and editor of numerous publications. He was always a source of wisdom and good advice. inception to 2008, and worked with the National Spirituality and Mental Health Forum (NSMHF) to keep the great work going. Having experienced an episode of depression himself, Peter was always committed to a holistic and person-centred approach and the integration of personal experience. Peter touched many lives and always brought the best out of people and any situation. A devout Roman Catholic, Peter advocated a vision of social work that recognised the benefits that spirituality, in its broadest sense, could bring to social care practice. Chairman of Guru Nanak Nishkam Sewak Jatha (GNNSJ) and the Nishkam Centre, Bhai Sahib Dr Mohinder Singh attended the service as a dear friend of Peter and was moved by the regal service befitting Professor Gilbert. “Peter always considered himself a friend of the Sikh community and was very keen to work with the Nishkam Centre to address subjects like mental illness, dementia, spirituality and faith. He was very talented and able to engage with people at all levels. He had a natural ability to engage those at the policy level in a strategic way whilst relating and working with people at the coalface with real issues. He was a real gem of a person.” remarked Bhai Sahib Mohinder Singh. Bhai Sahib Mohinder Singh and Amrick Singh, Nishkam Centre Director, were privileged to be amongst the guests partaking in the service for Peter. “Having met Peter’s wife Sue, it felt like we knew each other since Peter had spoken about his wife and his girls so fondly and so often” said Amrick Singh. Sue Gilbert was very pleased to meet Bhai Sahib Mohinder Singh and whilst showing an unbelievable resolve to deal with the situation in hand, she was a pillar of strength and gratitude. Bhai Sahib Mohinder Singh concluded by saying, “Peter will be missed by many people. 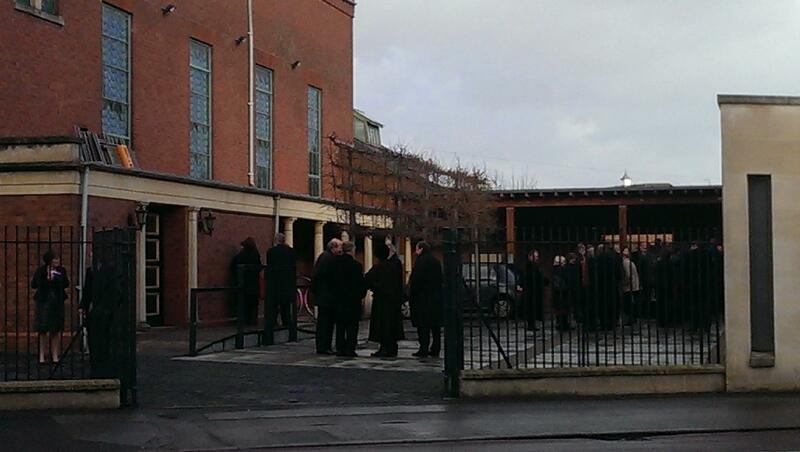 The service was a great accolade to him and a fantastic send-off. Our thoughts and prayers go out to his wife Sue and the whole family”. Guru Nanak Nishkam Sewak Jatha (GNNSJ) is a multi-faceted, faith based organisation practicing and propagating the Sikh Dharam (faith) in the name of Guru Nanak Dev Ji (1469-1539). It has been involved in selfless intra-faith work in Kenya and India informally since 1950, and formally in the UK since 1978 as a registered Charity through five centres for excellence in the inner-city area of Handsworth, Birmingham, where its Headquarters are based. GNNSJ also has sister organisations in Leeds and London (UK) and branches in Kericho (Kenya) and Amritsar (India). Significant achievements have been made by GNNSJ in the conservation and restoration of historical Sikh shrines. Chaired by Bhai Sahib Dr Mohinder Singh it aims to serve and uplift society through the practice of core values – nishkamta, or the spirit of selflessness, being one of them. Inspired by Dharam (religion) GNNSJ has generated a flourishing culture of volunteering, which has contributed immensely to transforming visionary projects into reality. For his services to religious faith propagation, community service, education and research, Bhai Sahib has been awarded two Honorary Doctorates from Birmingham’s Universities. He is passionate about values-based education and is the Patron of the Nishkam Education Trust which has set-up Nishkam Nursery (2009), Nishkam Primary Free School (2011), Nishkam Secondary School with 6th Form (2012) and Nishkam School West London (2013).